This build started after the rumor of the Gene XI coming out and I knew I had to get away from ITX builds and move up to big boy sized components. Everything was purchased used/new with parts reflecting how much I paid for it. This was over a course of 3 months and to top it all off me holding out a week because I didn’t want to mess up my first custom loop! All in all I think it turned out great! I may need some more RGB though... and Blizzard needs to fix their Problem where my OC crashes their game. But for my first custom loop, I enjoyed it a lot! And got really lucky with that 5.4 GHz at 1.36v. Super expensive but a beast motherboard! I guess it’s kinda worth it in a way! Favorite case. TG, Great airflow, and just awesome looking! Rog Gene is the most underrated motherboard imo. mATX being my favourite size, this is heaven. How were you able to get ahold of Z390 Gene in the US?! eBay is a life saver! And worth the wait! Hey! You're the guy on hwswap! First of all, fantastic build. Second, im planning on buying a meshify mini and installing an H100i at the front. However, my card is the 1070Ti Strix, so Im not so sure about clearance since its such a big card. Your 1080Ti is exactly the same length, but the Strix air cooler portrudes a little bit after the PCI. With that said, can you please tell me how much of a gap do you have between the graphics card and the front fans? Thank you! 8600k+z390 gene? Are you planning to upgrade or did you just want the best mATX z390? Came here to check out that board, wish Asus had tried a gene z370, my board's only comfy at 4.9. nice clocks and lap dance. Looks just awesome! Very nice build! 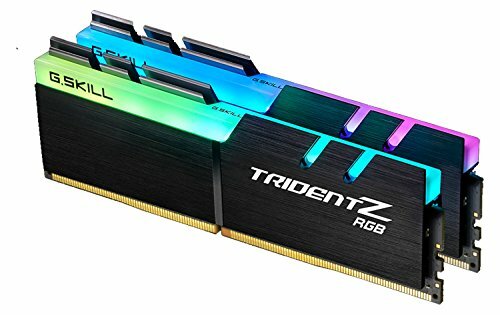 Please share RAM speeds and OC profile used for it.